Mobile technology continues to amaze me so I thought I’d take some time to explore some phone apps that will help you with your design, photography, illustrating or film projects while you are on the go. These apps are great for hobby artists and are serious enough for professional designers. 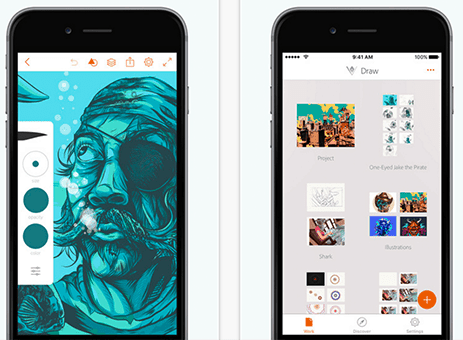 Illustrator draw allows you to sketch and create vector art right on your phone. This app offers drawing with a variety of pen tips and multiple layers. You can send your illustrations directly to Illustrator or Photoshop without losing any of the layers. A great typography app that allows the creator to overlay unique fonts onto their photos. This app is great for those who are looking to create a new meme or design something for a special occasion but gives the creator a unique app to create unique photos. This is a drawing app for those who are regular sketchers and want to draw daily. 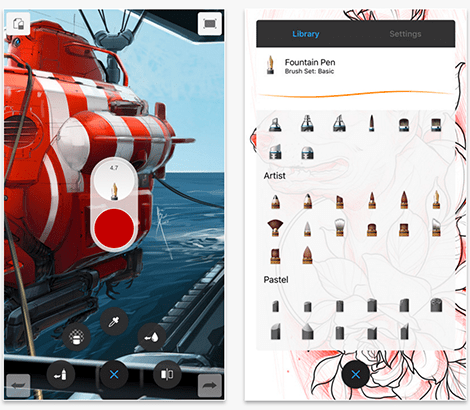 Sketchbook lets you create beautiful drawings with over 170 brushes which feel like real media applications. You can import your sketches into Photoshop and maintain all of your layers and without messing up your workflow. Filmic turns your mobile phone into a professional, high-definition video camera. 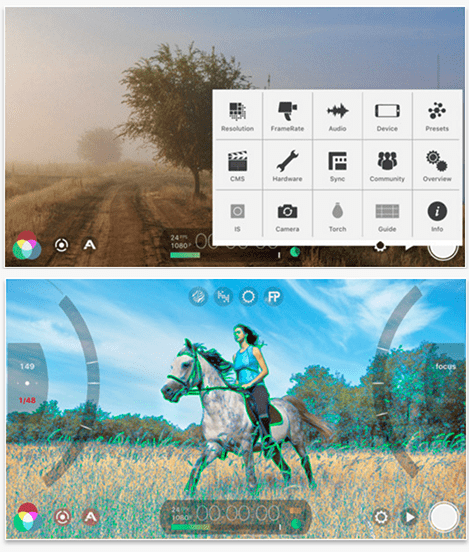 Filmic gives you control over frame rates, image quality, motion control, audio, and FX. We can’t forget to mention that you’ll also get full control over your exposure and be able to variable zoom. 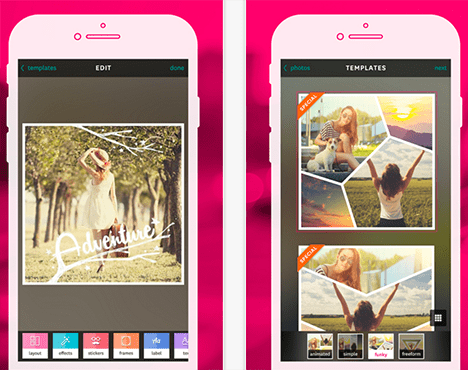 Fuzel is a fun app that allows you a simple way to combine photos to create collages. You can choose the photos from your camera, Facebook, Instagram or you can take one right within the app. 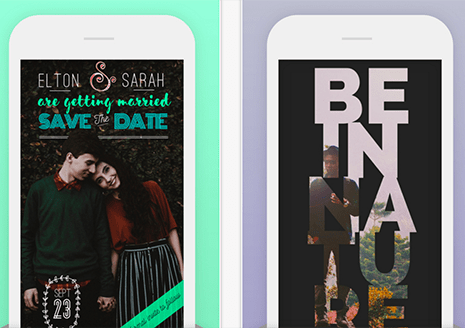 You can add fun design and/or animated elements that you can share to your favorite social media apps. Phone photography has made huge strides over the past few years. Exify is the app for anyone who is very serious about the photos they take with their phone. 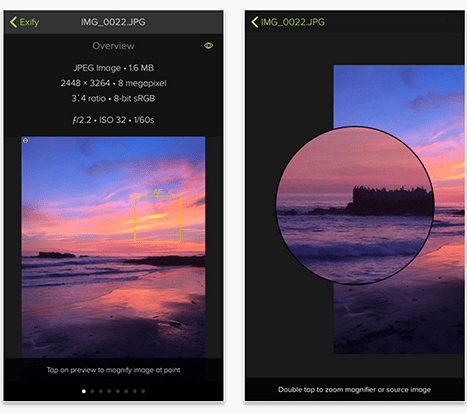 This app makes quick accessibility to adjust exposure, sizing, color, magnification, location, histograms, proportions, and copyright information.